A week ago today we flew from Omaha into Quebec City, Canada to begin the process of picking and bringing home our new female puppy. We arrived mid-afternoon, did a little walk about in Vieux-Quebec (Old Quebec City, where we stayed), then drove out to nearby St. Lambert-de-Lauzon, the home of Renee Fortier and Gilbert Tremblay. 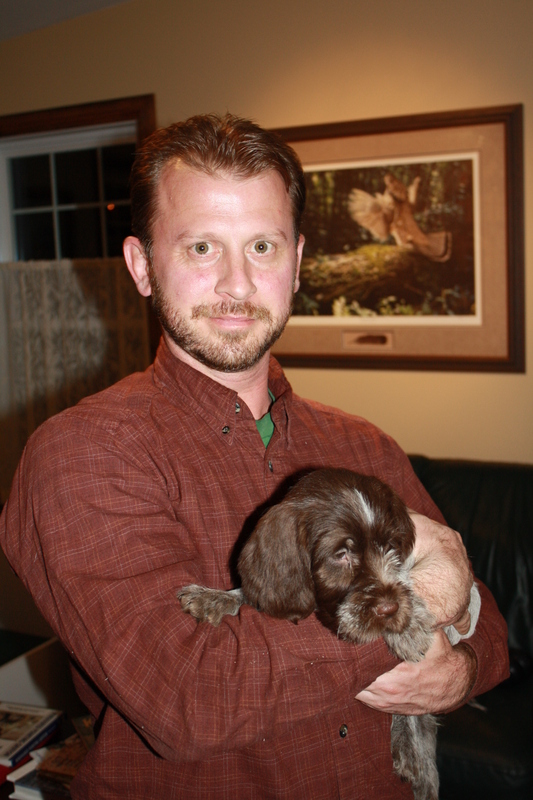 Renee and Gilbert hold one of the six Wirehaired Pointing Griffon kennels in the province of Quebec, where their shared language with France facilitates the importation of fresh bloodlines from champion European stock. 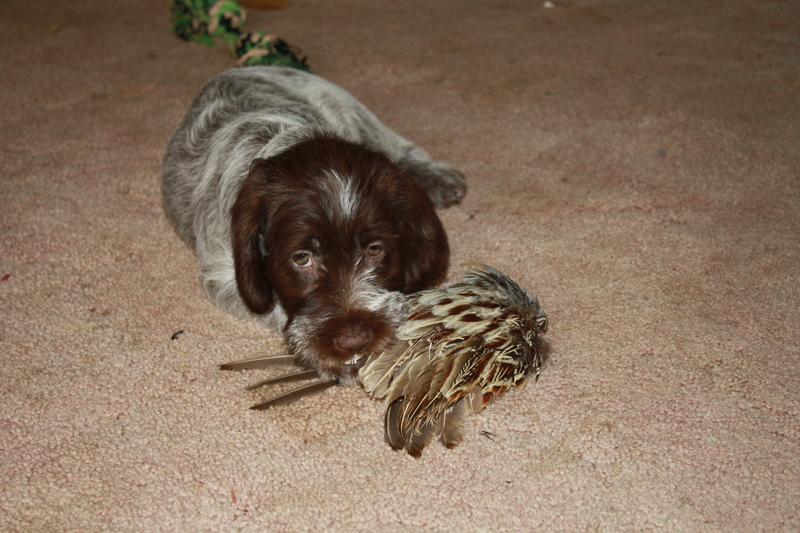 The reason that we chose a puppy from Renee and Gilbert is that their dogs hold both show conformation titles, proving their structural soundness, and NAVHDA hunt test titles, proving their hunting instinct. 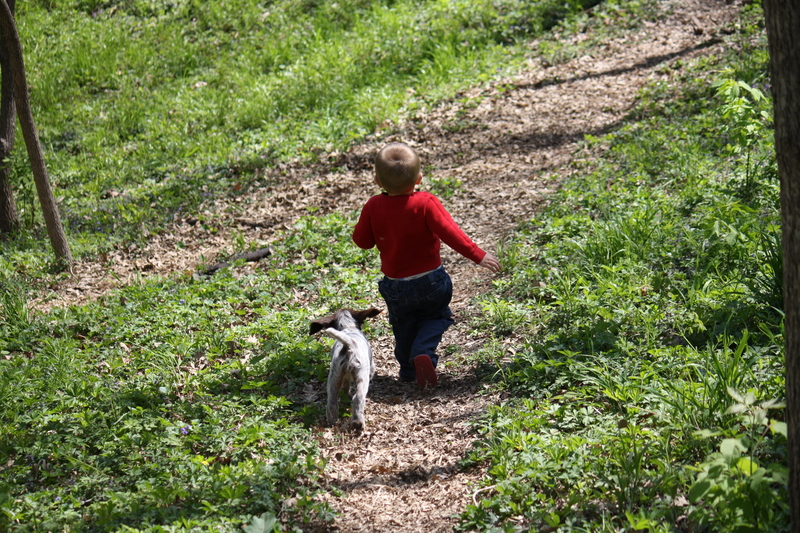 Charles and I picked our puppy based on energy level, curiosity, nose-to-the-ground and attentiveness to the bird wing. 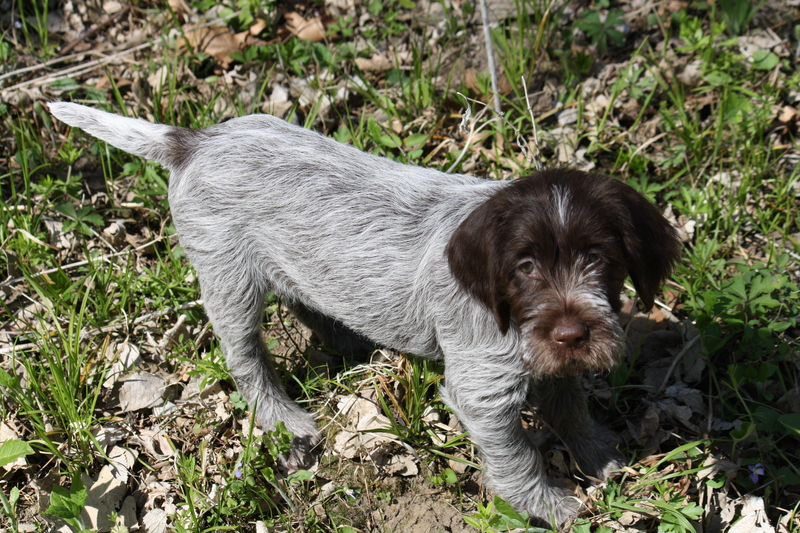 Her registered name with the CKC and NAVHDA will be Bourg-Royal CB Bluestem, recognizing the names of both kennels. Following registration with the CKC, I will be able to transfer her registration to the AKC. It is interesting to note on her pedigree that even though her sire, Cyr, is a French import, he shares a common ancestor with my current female, Sue. Both Sue and Cyr have Hudson de Rives de L’aure three generations back. 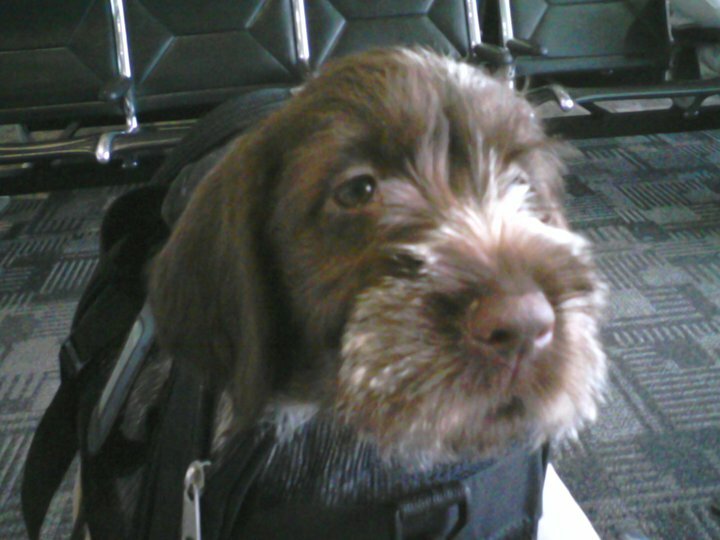 Flying with a puppy in the cabin was not as traumatic as I expected it to be. The flight attendants allowed me to sit her in the bag on my lap, with just enough unzipped so that her head could stick out. I had an international health certificate and vaccination record, so customs wasn’t a problem either. Like a typical puppy, she sleeps most of the day, but her energy level is increasing daily. She’ll get up and play a little with toys on her own during the day and in the evening her friend the cocker spaniel gets to come back into the house so that they can play together. I put the cocker out during the day so that she can have time away from dogs and totally solidify her bond with people. Charles introduced her to a live chukar yesterday when he transferred some of our training birds from the transport box into the holding pen. As I get to call all of the puppy conditioning shots when it comes to our own litter, I’m going to let him decide how he wants to continue with the bird exposure. Also, we will be doing NAVHDA training with this puppy and I’m planning on taking some AKC conformation show handling classes with her, so she’s got her work cut out for her. 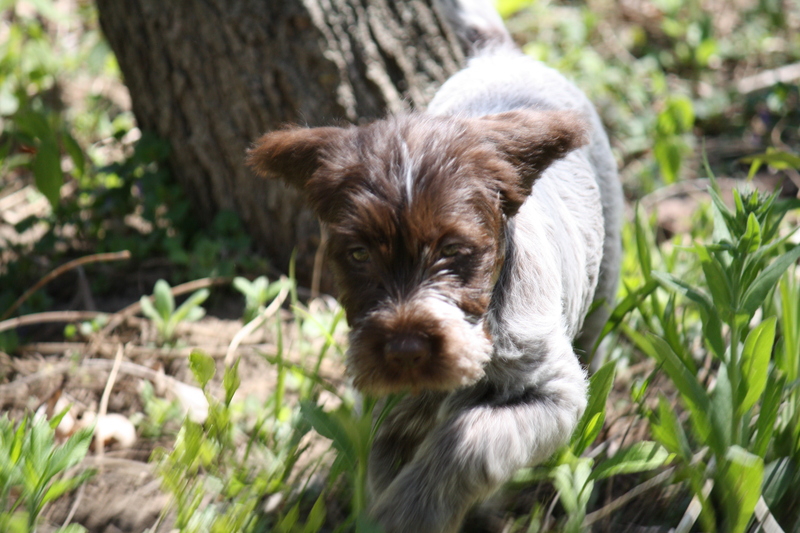 Welcome, BB, the next generation of Bluestem Kennels!